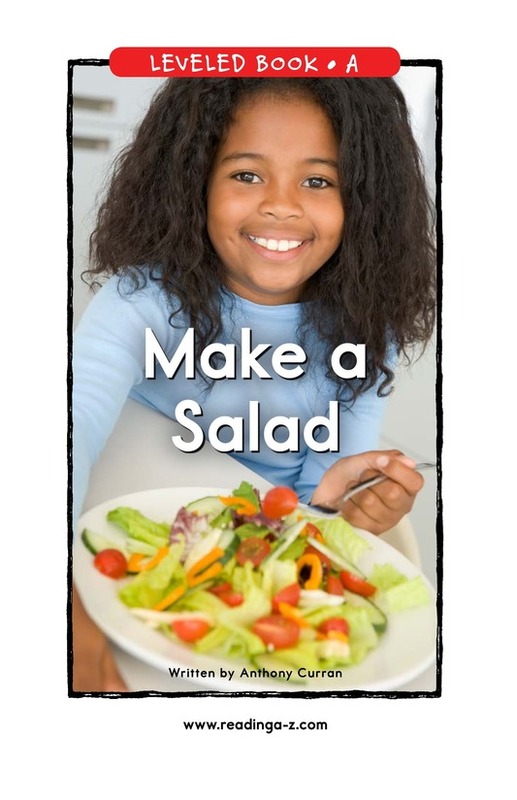 What can you put into a salad? 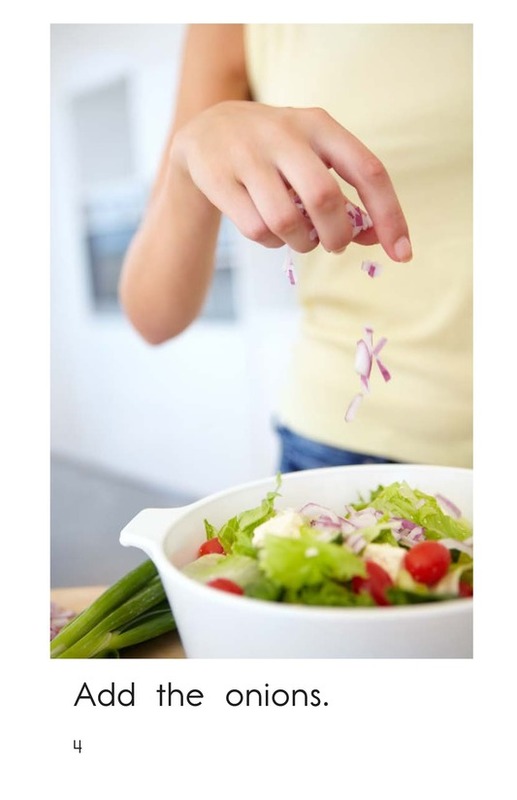 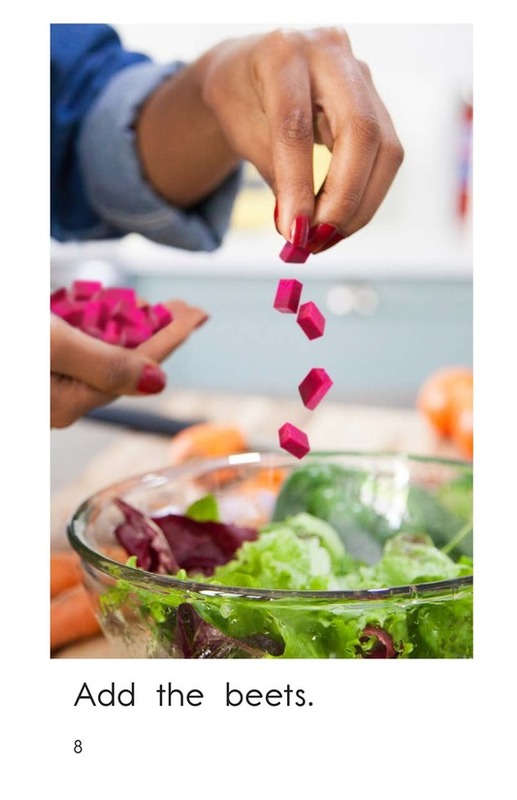 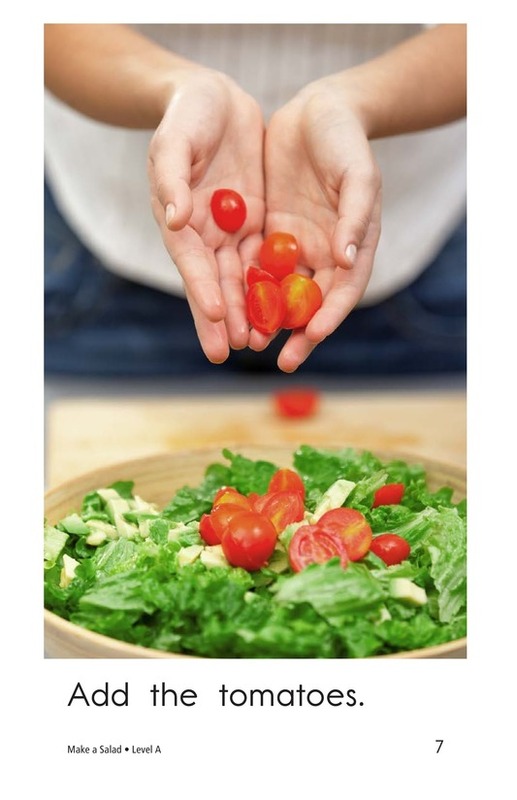 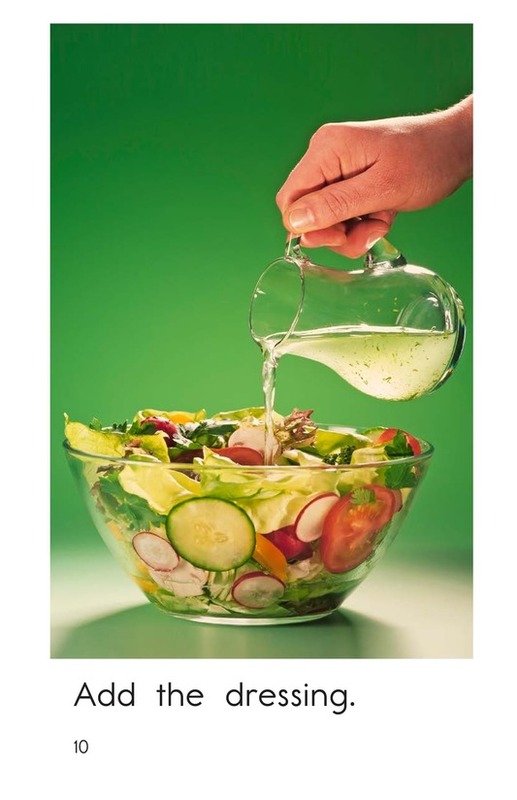 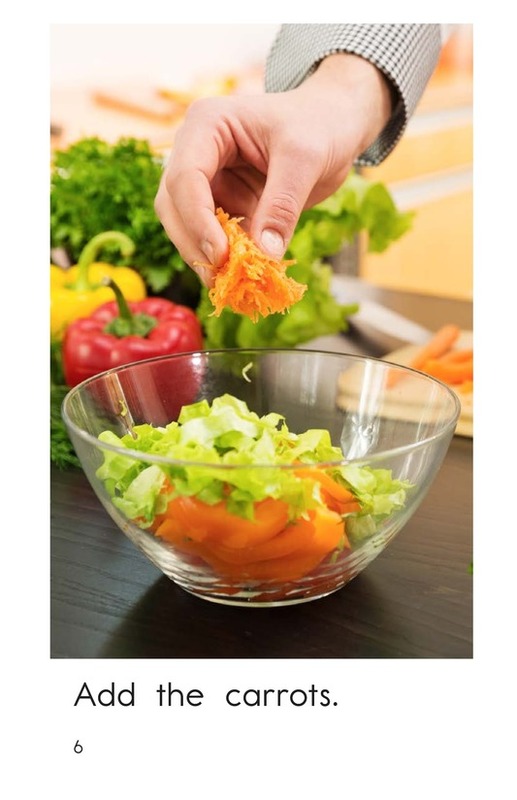 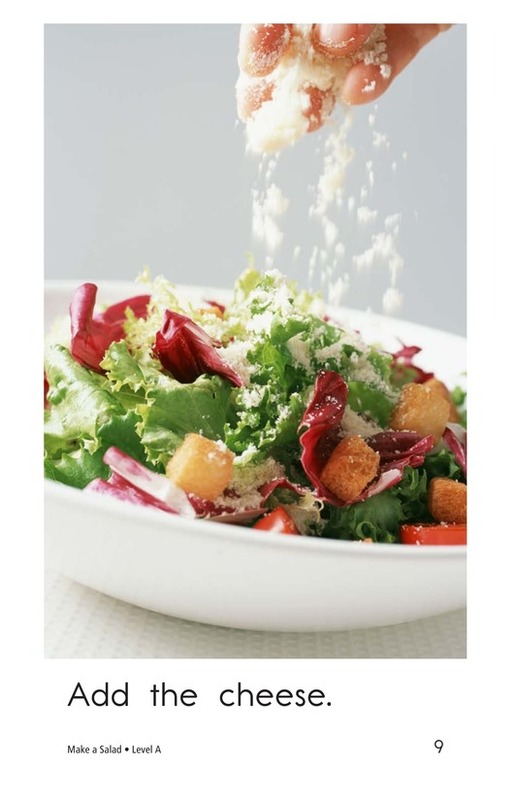 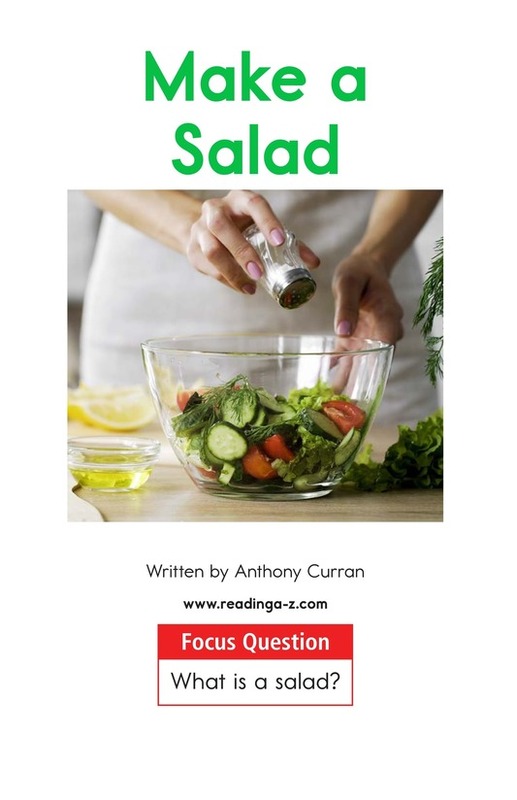 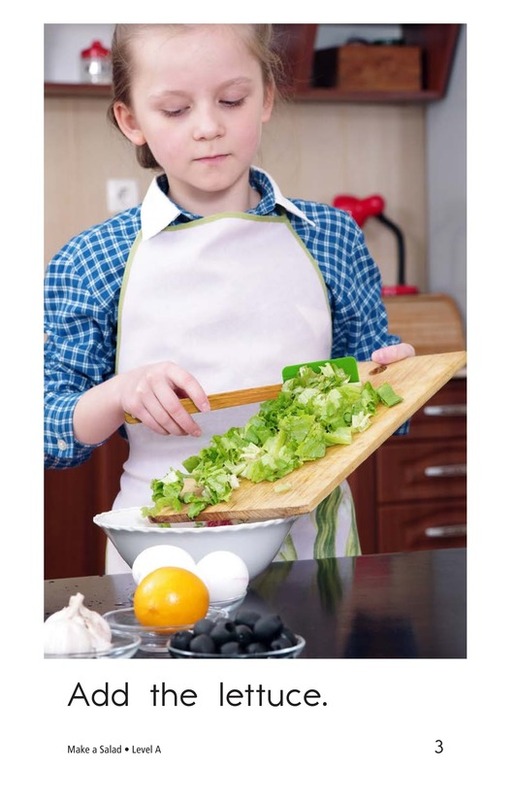 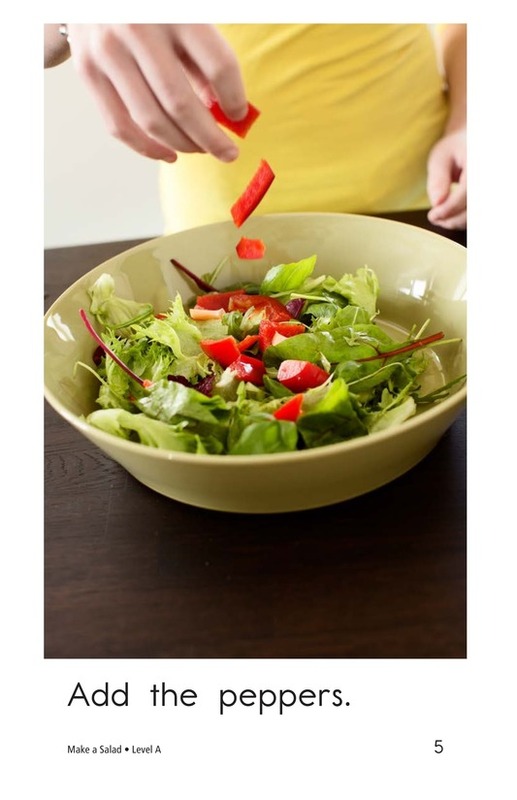 In Make a Salad, students will read about some foods that are great for making a salad. 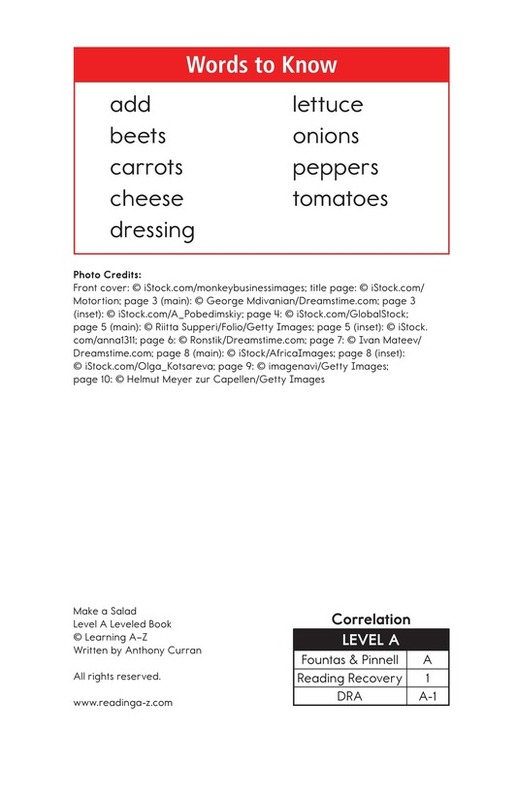 The book uses detailed, colorful photographs; high-frequency words; and repetitive sentence patterns to support early-emergent readers. 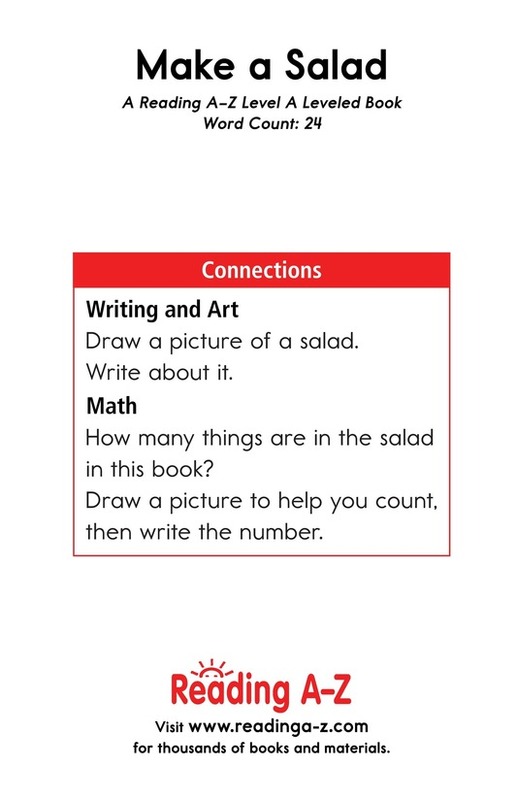 The book can also be used to teach students how to identify the main idea and details in a book as well as how to capitalize and punctuate sentences.